PwC has retained its position as the number one professional services brand, and one of the world’s top ten most powerful brands in the Brand Finance Index 2017. The Brand Finance index is an annual assessment of the brand value of over 500 of the world’s best known businesses. PwC achieved the highest score (AAA+) for the seventh year in a row assessing the brand as ‘exceptionally strong and well managed’. Since 2007, the Brand Finance Index has ranked PwC amongst the top 100 global brands, and the leading ‘commercial services’ sector brands, despite heavy competition from the technology and consumer sectors. The assessment measures a range of metrics including brand awareness, satisfaction and recommendations, financial performance and internal investment, market share and revenues. It also examines corporate responsibility, governance, and the views of internal and external stakeholders. Organizations are then judged relative to their competitors. PwC achieved the highest ranking and score amongst its closest sector rivals. 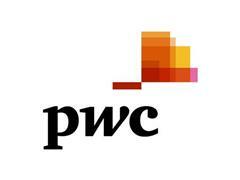 PwC named one of world’s most powerful brands.